The United Nations’ International Atomic Energy Agency (IAEA) is constructing a new laboratory for its efforts to help countries use nuclear techniques to control insect pests, the IAEA announced in a Sept. 19 news release. One of those pests are mosquitoes that spread the Zika virus and other diseases. The construction is part of the Renovation of the Nuclear Applications Laboratories project (ReNuAL), a plan to begin upgrading the eight IAEA Nuclear Sciences and Applications laboratories in Seibersdorf, Austria, which first opened its doors in 1962. The labs play a key role in the IAEA’s activities to assist countries with the peaceful uses of nuclear science and technology in human and animal health, food security and environment protection. The project is being launched with the construction of a new Insect Pest Control Laboratory, due to be completed by the end of 2017. The lab is responsible for the development and application of the sterile insect technique (SIT). Developed jointly with the Food and Agriculture Organization of the United Nations, SIT is an environmentally friendly method that has been successfully used for decades to combat fruit flies and livestock pests, such as the screwworm fly and the tsetse fly. “The modernization of the laboratories will allow us to scale up the provision of scientific services and training so that we can more efficiently help Member States meet current and future challenges, such as the Zika outbreak,” says IAEA Deputy Director General for Nuclear Sciences and Applications Aldo Malavasi in the news release. The SIT uses irradiation to sterilize insects in order to suppress pest populations. 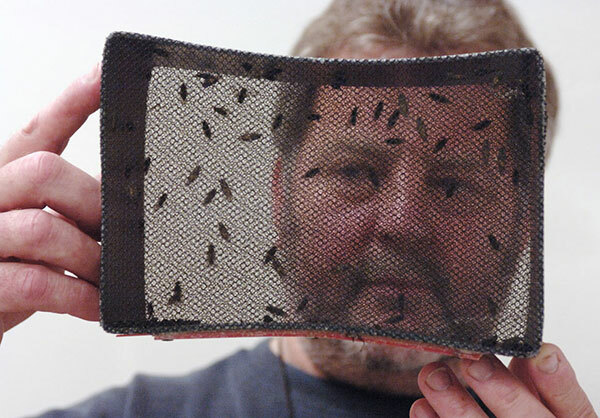 Sterilized male insects are mass-reared in special facilities and released in large numbers to mate with wild females. As these do not produce any offspring, populations decrease over time. The technique is also being developed for disease-transmitting mosquitos, including those that spread Zika, dengue fever and chikungunya. The IAEA and the FAO are working to enhance the method in preparation for pilot trials in different parts of the world, according to the IAEA. “I am pleased that the funding target has been reached and that construction of the new Insect Pest Control Laboratory has now begun. I’m deeply grateful to all Member States which have contributed to this crucial undertaking,” Amano says.